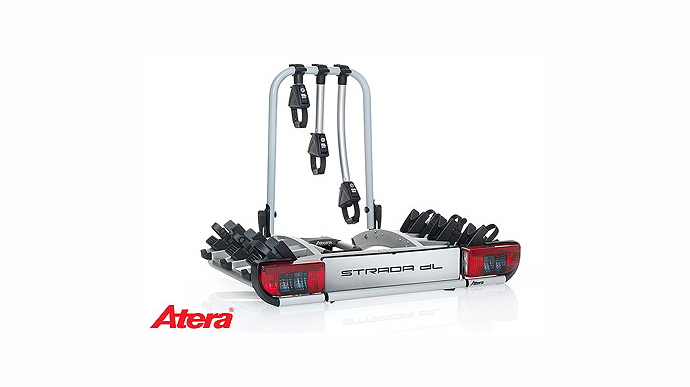 This weekend we were given the opportunity to test out an Atera Strada DL bike carrier and what a weekend to test it! Only the night before whilst changing the tyres on our Specialized Epic a horrific discovery was made. The rear carbon wheel rim was warped and had melted around the inner tube valve. This came as a complete shock, what could have caused such damage with out me realising? At first I thought it must be where the plastic strap secures the wheel to the bike rack, perhaps through movement over a long journey friction had caused heat resulting in the damage. Finding this hard to believe I jumped on Google to see if anyone else had experienced carbon wheel rim damage on bike racks. Bingo! Loads of posts and loads of people that had experienced exactly the same issue. Damaged, warped and melted carbon wheel rims from exhaust heat. Put simply, if the rear wheel is too close to your exhaust then damage can occur. The peculiar thing is, I have been using my current bike rack (tow bar mounted) for months traveling hundreds of miles of all the UK. So why had I only experienced this now? Up until now, the two bikes in our test fleet with carbon rims had always sat in the two positions furthest away from the car. However, on a short journey this week, the Epic with carbon rims was placed closest to the car and therefore took a blast of heat from the exhaust. So, bit of a long winded way to start a bike rack review but when unpacking the Atera Strada the first thing I wanted to check was once mounted, just how close was the rear bike wheel to the exhaust? Now Atera have obviously thought about this, not only are the wheels set further back from the vehicle but the rack is also raised up higher than our old system so no concerns here from heat damage. Size (folded): 100cm x 72cm x 25cm high. Weight: only 14.4kg! 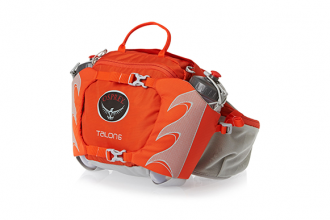 In terms of fitting, the Atera Stada is super simple and at only 14.4kg is easy to lift and position on the tow ball. Attention to detail and build quality is superb such as the mounting bracket to slide the electrics connector on to when not in use. Ski boot style ratchet straps make fixing your bike in place a quick and easy job and we especially loved these on the colder mornings when fingertips are numb. 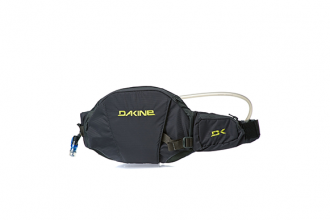 Unlike some carriers, everything on the Atera is easy to adjust and requires no tools. Adult and children’s bikes can easily be fitted, simply by sliding the wheel mount blocks to the correct width. The big plus is the foot operated slide system to move the carrier away from the vehicle to access to the boot. The carrier drops smoothly to the ground allowing ample space to stand either side of the tow mount to access your boot. Finally, unlike our previous bike carrier that positioned the bike wheels too close to the rear exhaust, the Atera sits further back from the vehicle and also slightly higher (still enough space to carry a SUP board on the roof bars). One of the best 3 bike carrier systems we have used. Easy to adjust for various frame / bike styles and quick to fit.